Kimberly Belle’s previous novels are The Last Breath and The Ones We Trust. 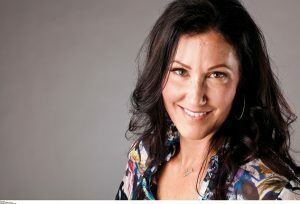 She holds a bachelor of arts degree from Agnes Scott College. Her third novel, The Marriage Lie, begins with the depiction of Iris and Will’s marriage as a blissful union. They both have rewa rding careers and have decided to try for their first baby. On the morning Will leaves on a business trip to Orlando, Iris learns a plane headed for Seattle has crashed, killing all on board. According to the airline, Will was on that plane. Stunned, Iris seeks answers about why Will was going to Seattle, not Orlando. A series of secrets and lies emerges, and Iris’ life is changed forever. 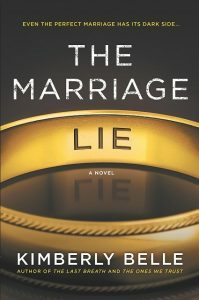 The Marriage Lie depicts a marriage beset by secrets. How did this idea come to you? I love writing about secrets because, when they are revealed, as they always are, they can disrupt a relationship. One of my children lives in Holland, so my husband and I are back-and-forth all the time. When I began thinking about my next story, flying and plane crashes were at the forefront of my mind. I began thinking what a plane crash is like for the people left behind, especially if some sort of deception was involved as happens in The Marriage Lie. What about secrets intrigues you? I love writing about suspenseful issues and using that tension in a plotline. But the meat of my story is the relationship between Iris and Will, and how the discovery of certain secrets impacts their relationship. The intrigue for me is what happens to a relationship when people find out about the other person’s secrets. Speaking of relationships, tell our readers about Iris’ and Will’s relationship and the issue of accountability for one’s past. Iris and Will are very much in love and seem to have it all. As a student counselor, Iris always talks to her students about being accountable for what they do. When Will goes missing and certain questions arise, Iris wants to know the truth about him. When she learns the truth, she must re-evaluate everything in the relationship—not just things moving forward, but everything that has gone on before Will disappeared. She thought she knew her husband, but didn’t know him at all. The Marriage Lie depicts Will as having changed completely by the time he and Iris marry. Do you believe people ever truly change? I think people can want to change, but I haven’t met anyone who has completely changed. I think Will wanted to change and become a better man for Iris, but in the end, I don’t think he achieved that sort of encompassing goal. The Marriage Lie is written in the first person, present tense. What made you choose that format? I’ve tried other formats, but that’s just the way my voice works best. When it comes time for me to sit down and write, that’s the best way for me to get inside my characters’ heads. I love the immediacy of the first-person narrative, and of the present tense. The action is happening right then and there in front of the reader. What’s the most important lesson you feel you’ve learned about writing? There are two. The first is that every book you write is different. When I think I’ve finally figured out writing—how to structure a novel or create characters—I come up with another story that needs to be told differently, and in a way, that makes me feel I haven’t learned anything. [Laughter] It’s humbling and frustrating. Maybe that’s what keeps writers on their toes. The other lesson is I must show up every single day at my computer. If there are no words, there’s no story. First, I’ve been so positively surprised by how supportive other writers are. It’s competitive, for sure, but I’ve been so pleasantly surprised by how willing other authors are to tweet and help me promote my books. Another surprise has been how long it took me to figure out that writing is what I’ve wanted to do. I love doing it so much, I wish I’d discovered it earlier. If you weren’t a writer, what would you be doing today? This is my second career. Previously, I worked in fundraising for non-profit organizations. I’m still passionate and active about certain causes, so I’d probably still be working in that field if I weren’t writing. If you could experience reading one novel again as though reading it for the first time, which one would it be? There are so many I’ve loved. One that surprised me in unexpected ways was The Book Thief. It’s completely out of my genre, but every page had a sentence or phrase that floored me. What’s coming next from Kimberly Belle? I’m working on a story about a botched kidnapping. The kidnapper snatches the wrong child and the blunder pits both mothers in a race against time to save the boy. To do that, they’ll have to take a closer look at the people around them. The working title is Mistaken. 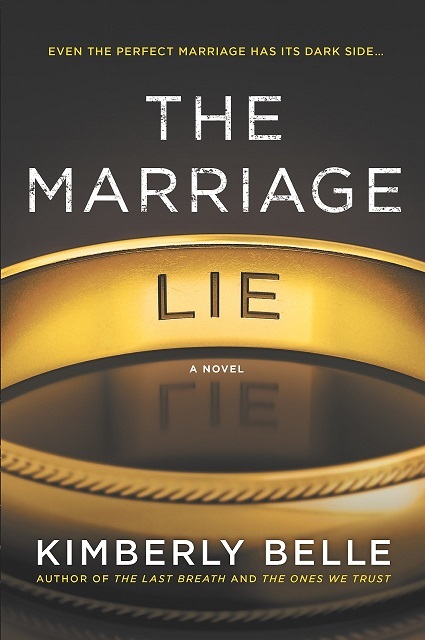 Congratulations on writing The Marriage Lie, a suspenseful, multilayered and gripping novel that had me turning the pages until late into the night. I hope you’ll enjoy the baker’s dozen tidbits from famous and not-so-famous authors I’ve stuffed into this book-lover’s stocking. Linda Fairstein: When I began writing Into the Lion’s Den, the idea of assuming the voice of a twelve-year old was daunting. In my extended family and among my friends, I know a lot of kids that age. When at a Thanksgiving dinner, I found myself with a notebook writing down certain phrases. For instance, the word “fiblet” meaning a little lie, is one of the words with which I became familiar. Hanging around with today’s kids is almost like referring to an urban dictionary. Louis Begley: In correcting the German translation of my book, it struck me my dialogue is quite funny. How a writing style comes about—I really can’t tell you. I will tell you though, I’m a very good listener. I try to get into the longest line at the supermarket so I can hear what people in front of me are saying. I love listening to conversations. I pay attention to how people talk. Mary Kubica: When I think about what I’d be doing if I weren’t a writer, I’d return to being a high school history teacher. Now, I volunteer at an animal shelter, my bucket list includes owning my own shelter. Dave Barry: I got into LIV, Miami’s hottest nightclub. I was blown away by the concept of a celebrity DJ. The same skill set required to operate a microwave oven renders the DJ an internationally valued talent. If you want to stand around and listen to incredibly loud music played by a guy pushing a button, and if you want to purchase dinks for twenty dollars a pop, it’s a fun place to go. Laura Lippman: The most important lesson I’ve learned about writing is to just do it. To get up and write, and do it regularly. I think people make a mistake in talking about developing discipline. Discipline is a scary word. It doesn’t sound like fun, and it’s difficult to maintain. I think what really works is habit. It’s crucial to develop the habit of writing. That’s what I’ve learned—to build writing into becoming a habit. John Sandford: When I was a newspaper reporter, I heard the funniest stories from cops. Many cops have a good sense of humor. You almost have to have that to do the job. Some very weird and funny things happen on the street. I try working them into my books. Many things in the books are more stupid than just plain funny. Working with cops you realize that a lot of the people they meet are really dumb. And they do really dumb stuff. It can lead to tragedy, and many of these stories are really a complex mixture of comedy and tragedy. Liz Kay: In my fiction, writing dialogue is the most fun for me. In my poetry, I don’t use dialogue. The language of poetry is so far removed from the way we actually speak. Moving into a world where I could create snippets of conversation like the language used in daily life, was my way of making art out of conversational language. Joseph Finder: When I re-read my own book after it’s been published, I usually find something I would have done differently. With each book, I’m more demanding of myself. If a writer isn’t getting better at the craft, something’s wrong. That can make writing new novels harder. Because our critical faculties are more highly developed, we become less tolerant of mistakes. Nathan Hill: In some ways, I think writing a novel should be like planting and tending a garden. A garden isn’t a failure if thousands of people don’t look at it. A gardener loves gardening because it brings a measure of joy. The writing itself brings me joy. I think having a novel published should be viewed as a side-effect of the writing. Lynn Rosen: As an eighty-four-year old debut author, I’ve come to realize my writing style is simply the voice in my head. I write down what that voice tells me. For me, the creative and performing arts involve transcendence beyond the moment. I’m engrossed by the question of how we access art and process our feelings about it, and that informs my writing. I don’t write the way I do in a purposeful way. It’s simply a result of how I think. Daniel Silva: I always thought the dumbest piece of advice I ever heard was ‘Write what you know.’ I disagree. Write what you’re passionate about. Choose your material and then bury your face in it. Camille Perri: Getting my first novel published was a long, long road. As a kid, I wrote stories. I spent a lot of time in the library. Books and writing have always been a huge part of my life, and it was always my dream to become a writer. I was relentless in this pursuit. I have loads of unpublished books. But I kept going. Even if my novel hadn’t been published, I would still be writing tomorrow morning. Ace Atkins: I think dialogue is the engine driving a novel. It propels the story and bespeaks character. A novel’s characters are made real by their dialogue more than by anything else. I’ve always felt dialogue is not just what people say to each other; it’s what they do to each other with words. 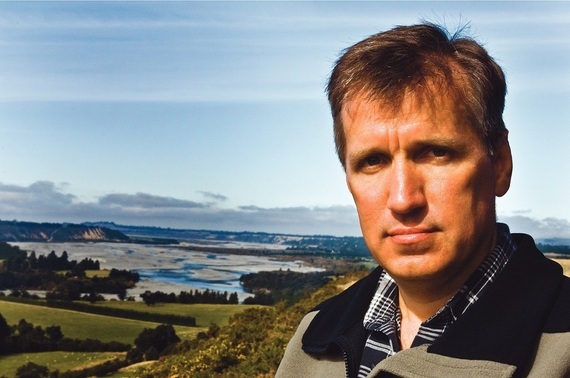 James Rollins is known to millions of readers for his international thrillers in which he presents scientific breakthroughs, unveils unseen worlds, and reveals historical secrets. 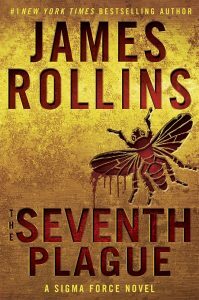 The Seventh Plague begins with a British archaeologist stumbling out of the Egyptian desert after having been missing for two years. He dies before he can explain what happened to his team, but his body had begun mummifying while he was still alive. Commander Gray Pierce and his Sigma Force must uncover the truth behind these events. The archaeologist was carrying a plague organism which traced back to Moses’ ten plagues from the Bible. As the disease spreads, it threatens to trigger the other nine Biblical plagues, and Sigma Force must find a way to stop it. The search spans from Africa to the Arctic Circle. The Seventh Plague describes self-mummification while someone is still alive. Is this possible? Yes, it is. It’s an extensive process practiced by some Eastern sects. In the book, I sped up the process, but it actually takes years. There are people who engage in this practice so when they die, their flesh has been preserved. It involves fasting, and ingesting certain compounds that kill bacteria. 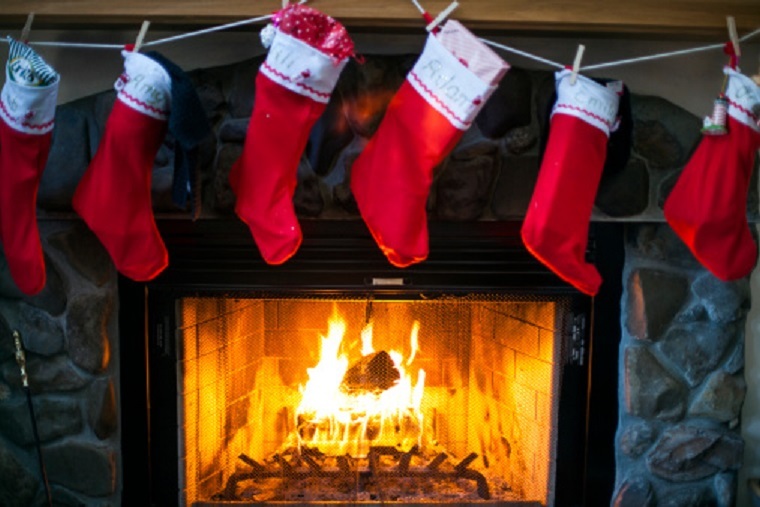 They then entomb themselves along with little bells. When the bells stop ringing, it signals the practitioner has died. The tomb is opened and the body is found in a preserved state. The deceased is blessed and revered. Similar practices have been noted in China, Japan, India, and in some areas of Egypt. It’s such a shocking ritual that when I was writing The Seventh Plague, I wanted to find a way of folding it into the story. There’s always been a question about whether the ten plagues described in the Bible actually happened. The Seventh Plague partly deals with that question. Can you tell our readers about it? We’re currently dealing with the question of whether climate change is happening. Many of the so-called plagues as described in the Bible could be attributed to climactic and ecologic changes which occurred very rapidly. If similar circumstances arose today, what plagues of biblical proportions might occur? While The Seventh Plague isn’t a treatise on climate change, this issue is a concern raised in the novel. Tell us more about that. It’s difficult to deny that there are climactic changes. We now have record-breaking temperatures, and melting of the ice caps. I read an article a few days ago reporting that the Arctic is thirty-six degrees warmer than normal. The permafrost is melting in that region, which makes the resources in the Arctic more easily accessible. Various countries are trying to tap into those resources and this quest is becoming the source of conflict between Canada, Russia, and Denmark. It’s becoming a political hotbed, and I wanted to cast some light on that subject. Also, it’s quite shocking to me that cruise ships are now applying for trips through the Northwest Passage, a voyage that not too many years ago was too perilous to even contemplate. The Seventh Plague connects to the crisis with the Zika virus. Tell us how this relates to the story. I’m always looking for small tidbits that can fit into a novel. I was reading about Zika virus and it pathogenesis. I was curious about where it originated—apparently, from monkeys in Uganda—and it’s managed to spread around the world. With the world being as interconnected as it is by jet travel, plagues can spread globally very quickly. This organism’s major impact is its causing cognitive birth defects. It got me thinking about the possibility of a Zika virus mutation specifically targeting male offspring. By limiting it to male offspring, it would provide a link to the biblical plague of the death of the first-born sons. As is often the case in a James Rollins novel, you weave historical figures into the storyline. Tell us a bit about Mark Twain and Nicola Tesla. I’ve always wanted to write a story with Mark Twain as a character in it. I grew up in Missouri and have always been a big Mark Twain fan. Once upon a time, I borrowed his surname as a pen name. So, in this story, I used the real-life relationship that existed between Mark Twain and Nicola Tesla. In my opinion, Tesla was one of the most important American inventors, and I am fascinated by the fact that Twain and Tesla were friends. Mark Twain not only had a friendship with Tesla, but also had a relationship with Stanley—the man always associated with Livingston—which I also incorporated into the novel. I wanted to explore the relationship between a great writer and a great inventor. 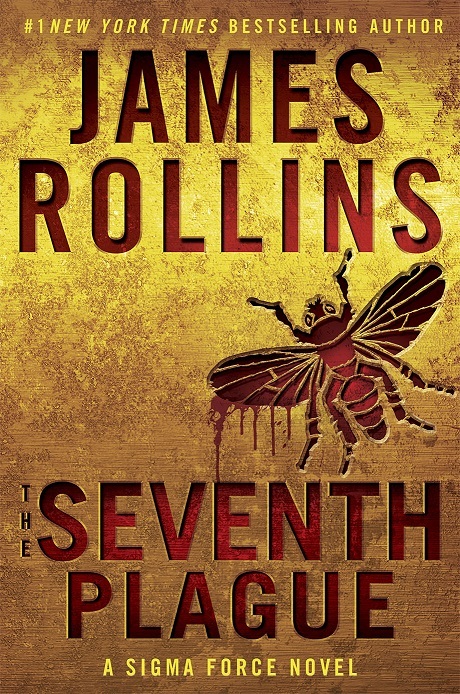 The last few pages of The Seventh Plague are startling. I understand this novel is quite personal for you. Will you tell us why? It’s a poorly-kept secret that my parents had been afflicted with Alzheimer’s Disease, which is reflected in the novel. The first indication of problems with Commander Pierce’s parents occurred early on in this series of twelve books. The pattern in the books follows the course of my own parents’ decline. 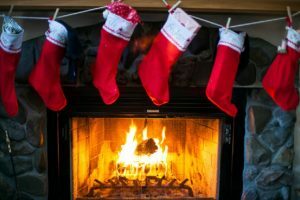 I wanted to shine a light on the meanings of being a caregiver to a loved one who’s slowly deteriorating over the course of time. No writer works in a vacuum, and I was dealing with the loss of my Dad who died about halfway through my writing this novel. 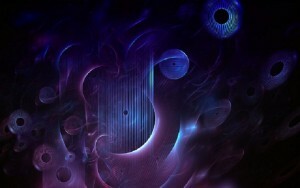 That’s where my mind was, and some of that’s reflected in The Seventh Plague. What has piqued your scientific curiosity lately, and will you work it into your next novel? I have the science worked out for the next novel, but unfortunately I’m going to refrain from talking in depth about it lest it ruin some surprises. Suffice it to say, the next novel will be delving into an attempt to prolong life, if not resurrect it….because truth be told, something has already succeeded in performing this feat and it’s about to cause a world of trouble for Sigma Force. Congratulations on penning The Seventh Plague, an intriguing novel bursting with originality, mesmerizing scientific details, and startling historical mysteries, all told as a fast-paced adventure.